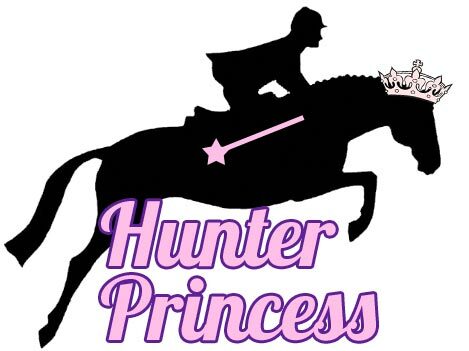 Hunter Princess Blog Hop – Why Do You Love Showing? I haven’t been purposely keeping a secret, but I don’t think I’ve exactly told y’all that we’re showing again tomorrow. Eep! I’ve been a little distracted by real life stuff (puppy, upcoming vacation, work) and not 100% gung ho with training so we’ll see how it goes… but yeah. Tomorrow is the last one day show of the year for us. Which brings me to this week’s blog hop question, why do you love showing? That’s a pretty broad question, and therefore I have a pretty broad answer… mostly I don’t know. When I showed open show circuits with Elvis, it was all about ribbons and point chasing. With Simon that’s not the case at all (although I do love me some ribbons!) – at least not this year. Now I love showing more because it gives us a specific place to work on our goals. Tomorrow’s goal? Get a skip change (change in front and catch up behind), have no run-outs and improve in our flat classes. Goals and performance aside, I love horse shows and showing because it embodies so much about riding that I like. I love the outfits, and I get to play dress up in my fancy show clothes 🙂 I love grooming, and I get to turn my horse out to the best of my ability. 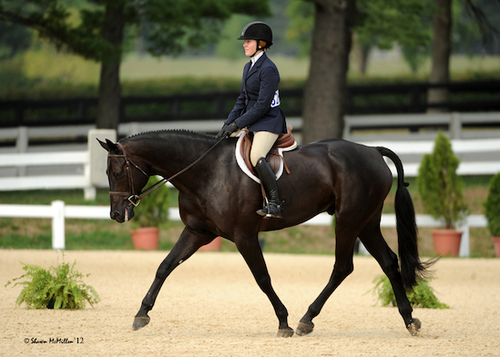 I also love being around horse people and beautiful horses, and well… we all get together at the shows to do our best! So tomorrow even if everything goes south, I’m going to try and remember why I love to be out there! What about you – why do you love to show? Share your opinion and join the blog hop! Joining the Blog Hop is really easy. Just write a post related to this topic, add your link on this post using the blue button, and click the link below to get the blog hop code on your site. Want to add the Blog Hop to your site? Get the Hunter Princess Week 8 Blog Hop Code! Great timing with this post! I have been trying to find motivation for my next show (Sunday) and I will keep these positive comments in the back of my mind! Thanks and good luck! Its addictive isn’t it? The stress, the pressure, I swear some days on the way home from shows that I’m never showing again, but somehow the next morning up up and washing the show gear so its ready for the next one! But I agree, the ribbons are nice but meeting goals, and improving on past performance is even better. My best ride this summer got me a 3rd, but I love that ribbon more than some of the first places I won! I have a show tomorrow too!! My little red monster’s first event ever. She’s just doing the Elementary stuff, and our goals are a) do not die in our canters in our dressage test, b) make it around XC cleanly, and c) make it around Stadium cleanly. And also, make it a good experience for everybody! These little schooling shows will ultimately set us up for our ‘real’ goals next year – point and ribbon chasing at recognized shows and a spot at the AECs! First of all, good luck at your show today! I completely understand where you are coming from! 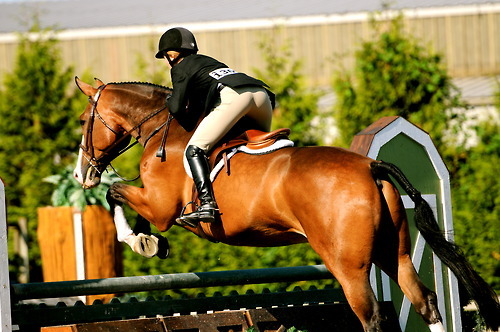 I am a way better rider when I’m showing because I’m the kind of person who needs goals to work toward. Plus I like adding to my ribbon box! That second picture looks like the ring at Conyers, my favorite place to show! 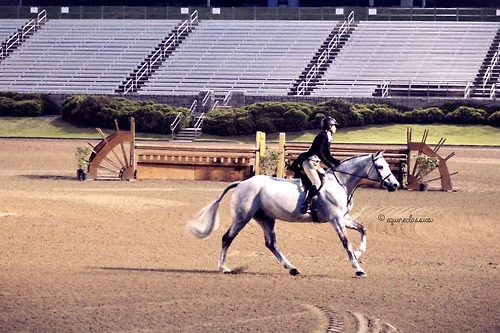 How could you NOT love riding in the same ring where the Olympics were held?? Good luck!! Hopefully you had fun! I need to remember why I want to show, because I let my nerves get hold of my and it ends up not being very much fun. And with it being so expensive, it CAN’T not be fun!